As you probably know from my last blog post, I am currently upgrading the PowerBI reporting platform of one of my customer from a PowerBI backend (dataset hosted in PowerBI service) to an Azure Analysis Services backend. The upgrade/import of the dataset into Azure Analysis Services itself worked pretty flawless and after switching the connection of the reports everything worked as expected and everyone was happy. However, things got a bit tricky when it came to automatically refreshing the Azure Analysis Services database which was based on an Azure Data Lake Store. For the original PowerBI dataset, this was pretty straight forward as a scheduled refresh from an Azure Data Lake store data source works out of the box. For Azure Analysis Services this is a bit different. This problem is usually solved by using an Azure Service Principal instead of a regular user account where the token does not expire. Unfortunately, this is not supported at the moment for ADLS data sources and you have to work around this issue. IMPORTANT NOTE: NONE OF THE FOLLOWING IS OFFICIALLY SUPPORTED BY MICROSOFT !!! It describes the general approach of using Azure Automation to process an Azure Analysis Services model and most of the code in this blog post if based on this! Also this older blog post will be a good read as some concepts and code snippets are reused here. I could copy the code for the first step more or less from one of my older blog post (here) where I used PowerShell to acquire an OAuth token to trigger a refresh in PowerBI. The important part for us is the “credential” field. It contains all the information necessary to authenticate against our ADLS store. However, most of this information is sensitive so only asterisks are displayed in the script. The rest of the JSON (except for the “credential” field) is currently hardcoded in the PowerShell cmdlet so if you want to use it, you need to change this manually! The PowerShell cmdlet then combines the hardcoded part with an updated “credential”-field which is obtained by invoking a REST request to retrieve a new OAuth token. The returned object is modified a bit in order to match the required JSON for the datasource. Once we have our final JSON created, we can send it to our Azure Analysis Services instance by calling the Invoke-ASCmd cmdlet from the SqlServer module. Again, please see the original blog post mentioned above for the details of this approach. After we have updated our datasource, we can simply call our regular processing commands which will then be executed using the newly updated credentials. Also remember the ApplicationID, it will be used as a parameter for the final PowerShell Runbook (=parameter “ClientID”! When it comes to writing the PowerShell code, simply use the code from the download at the end of this blog post. 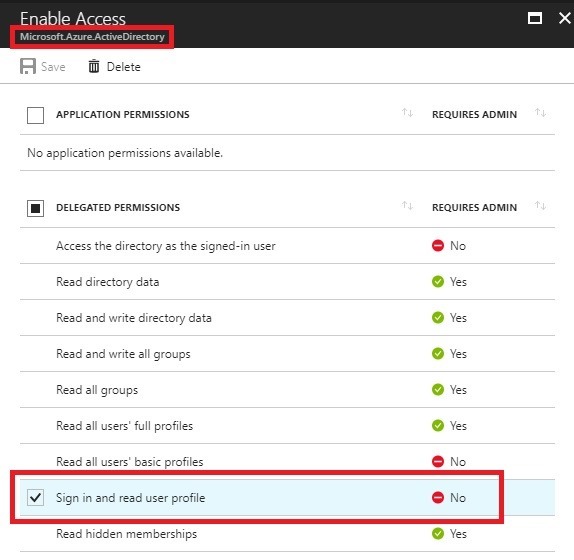 In general, a similar approach should work for all kinds of datasources that require OAuth authentication but so far I have only tested it with Azure Data Lake Store! Especially for public available data OData feeds are very popular, for example from Wikipedia. Those public data feeds usually do not require any authentication so one would expect these data sources to work flawless with a scheduled data refresh of Power BI. Well, you are wrong here! "Failed to find a match for the data source (connection string: data source=http://publicdata.clouddatahub.net/Web/Tables/fa9af6681cd64206b3aafe6d12408117/V1/Data;include atom elements=Auto;include expanded entities=False;integrated security=SSPI;persist security info=false;time out=600;schema sample size=25;retry count=5;retry sleep=100;keep alive=False;max received message size=4398046511104;base url=http://publicdata.clouddatahub.net/Web/Tables/fa9af6681cd64206b3aafe6d12408117/V1/Data) for the user 'Gerhard.Brueckl@XYZ.onmicrosoft.com'. The user is unauthorized or, the corresponding data source is not created. Check the user's permission to the data source or create a data source for the connection string. Tracing ID: 23f244ad-7921-48f7-b13a-ef68e8cf5503"
It says that for my user no corresponding data source exists or I do not have permissions to access it. In our case the reason is that our user is unauthorized – the actually data source that was used must not necessarily exist in the user’s data sources (Those can be found via “My Power BI”) for scheduled data refresh to work. So you will ask yourself what could go possibly wrong here as you are just accessing a public OData feed?!? The reason is that in the connection string the “Integrated Security”-property is set to SSPI by default. In your local Excel/Power Pivot model this works just fine as the SSPI context can be resolved and sent to the OData feed. Sure the OData feed actually ignores this information as it is public but from an authentication point of view everything works correctly! You can provide any values here, in my case I used “random” for both, User ID and Password! Another thing you need to ensure is that “Persist Securtiy Info” is set to True so your “Password” is stored in the final connection string making Power BI think that authentication is defined correctly within the connection string and Power BI does not have to do anything. On last thing you may realize is the “Running Time”. It takes significantly longer when doing the refresh in Power BI opposed to doing the refresh locally. Just keep that in mind, especially for bigger data feeds. In the future I hope that Microsoft will introduce some kind of “Anonymous” authentication within the dropdown of Power Pivot or simply check at some point if the OData feed requires any authentication at all hence overwriting the authentication mode specified in the connection string when refreshing.